From time to time, we are approached by a client who says that she is getting a bargain on a real estate purchase of a foreclosed property. Such a property is being sold by the lender or its subsidiary at a price that the client believes to be well below market. The client may wish to flip the property or use it for his own occupancy. It is important at this stage to hire an attorney with an expertise in this area to protect your interests. 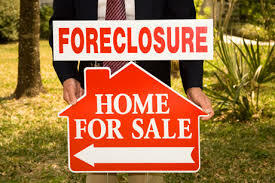 Like other properties, foreclosed properties are usually marketed by a real estate broker. However, most accepted offers for foreclosed properties are without some conditions that are favorable to the buyer. It is not unusual for the buyer to be pressured to sign the first draft of the contract immediately, provide proof of funds and a bank check for the downpayment. Once our firm is engaged in such a transaction , we evaluate the contract and negotiate it as appropriate for this type of sale. Buying a foreclosed property does not afford the purchaser some of the standard contract terms as in a transaction with a seller who lives in the property. For instance, the property is sold “as is”, without representation that the appliances and major building systems are in working order. Contracts for foreclosed properties often contain time of the essence closing dates and may require the buyer to pay all adjustments for real estate taxes as of the time of the essence closing date, even if such date is not the actual closing date. Also, offers are often accepted in a bidding process, without the buyer having the opportunity to go inside the house or have a formal professional inspection performed. A buyer may not even receive keys at the closing, much less go inside prior to closing, in some of the tougher transactions. Our goal is to promptly contact the seller’s attorney to request time to properly review the contract. Although representations concerning property condition and other matters may not be contained in these contracts, we will make sure that standard title requirements and a mortgage contingency, if applicable, are included in the contract. In some cases, the buyer has been permitted to inspect the entire property. Maybe the buyer is aware of a property condition that he would like to have remedied. Our attorneys will try to negotiate a credit at closing or arrange for the seller to make such a repair prior to closing. Usually, the seller will obtain contractor’s bids before agreeing to repair or reduce price by all or a portion of the bid. Otherwise, a buyer should be prepared for any detrimental property condition, such as a mold condition, burst pipe, missing water hot water heater, broken cabinets and the like. Hopefully, these repair items, known and unknown, are factored into the buyer’s “bargain price”. Another issue is whether the property is occupied by a tenant or the original owner. Contracts for foreclosed properties disclaim any obligation on the part of the seller to deliver the property at closing free of occupants. If someone is occupying the property, the buyer must hire a qualified landlord-tenant attorney to commence a landlord-tenant action. Until an occupant is removed, the buyer may need to wait to have access to the property and make desired repairs. However, real estate taxes and mortgage payments need to be made as of the closing, whether or not the buyer has obtained possession of the property. We make every effort to protect those clients who wish to enter this type of transaction.